Just a couple of things to share today. 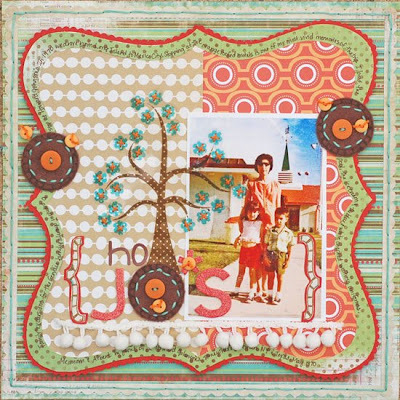 This first project was my contribution to the Pink Paislee blog this month. The blog is awesome. And the design team is always posting new projects. So check it out if you want to see some great Pink Paislee stuff. 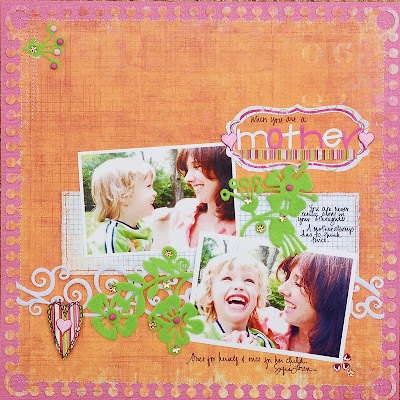 This next project is one that I did recently using an old photo of my mom, Albert and I back in 1970. Here's the journaling: Family excursions for the Gervais family always included a stop at Howard Johnson's. In 1970, we drove from Long Island to Mexico City. Stopping at the orange roofed motels is one of my most vivid memories of the trip. I loved the pool, the ice cream and the blue and white checked waitress uniforms. 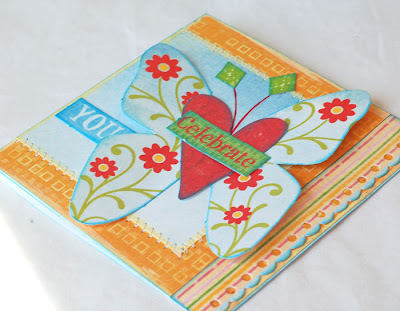 I used a variety of patterned paper to give it a 70s feeling. 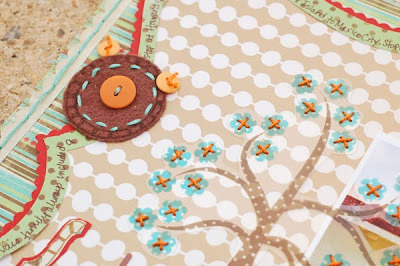 I stamped on the felt and did lots of stitching, too. This is one of those pages that I just love because of the topic (and the fun products, too). I plan on hanging it up in my scraproom. I just love distressing! Lately, it seems like a lot of what I do has roughed up edges. 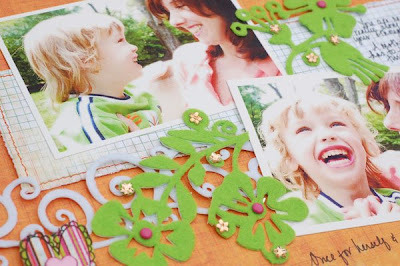 I used the Close to My Heart edging tool to do it. Then I curl up the pieces and scrape along the edges with my fingernail. If you haven't tried roughing it up, give it a shot. It gives projects a shabby, vintage feel. Here's my roughed up card for CPS this week. This was a really fun sketch. I love looking at what the other designers and readers come up with, too. Here are a couple that I made this week. This first one uses the Pink Paislee Office Lingo line. I wanted to make it look like one of those cute wooly caps. 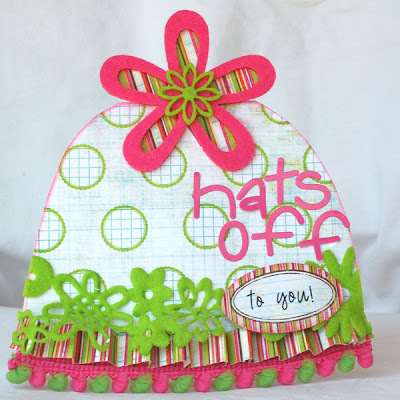 To make the bottom of the hat I added some trim from Joann's, folded some paper and added Queen and Company felt. The flower on the top is also Queen and Co. felt. So I think I get an A for effort but and F for following directions! I read the challenge and thought you had to pick ANY card for inspiration. So, I chose one of Melissa's that I love. 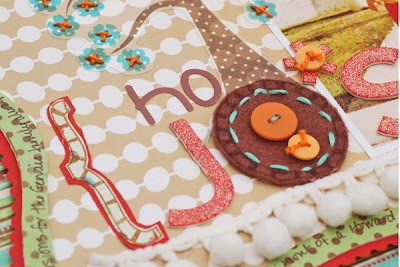 Here's a link to her gorgeous card. 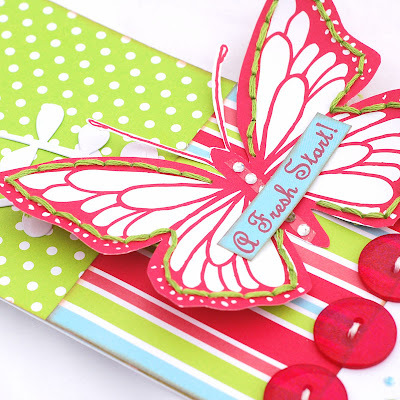 I used a beautiful tag that I received from Cindy. Isn't it gorgeous? It's from Antique Paperie. I tried to link it, but couldn't access the website for some reason. Anyway, I just love her tags. 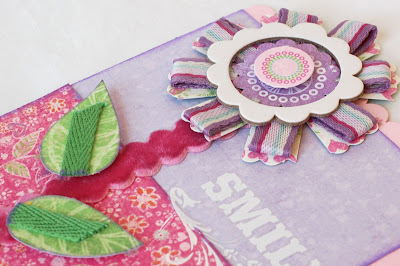 I added some MM and Fancy Pants paper, and the chipboard flower is Melissa Frances. 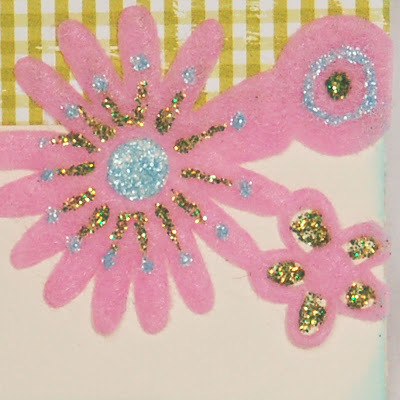 I sprayed glimmer mist and added glitter to the felt and attached the black felt flower to the chipboard using a felt brad that has been covered with Stickles. That's it for today. We've been out enjoying the nice weather this weekend, so I don't have much else to share. Have a great day and thanks for stopping by~! I love the 15th and the 30th of each month. That's when Cindy puts up the projects at the Emma's Paperie blog. Wow, I'm just blown away by what the team did this time. You have to go and check it out here. Anyway here are my two projects. The first was one that we had to use ribbon or trim on. 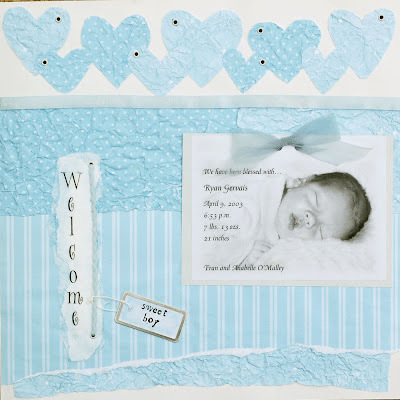 I used the new Kaitlin trims from Crate paper and created this card. 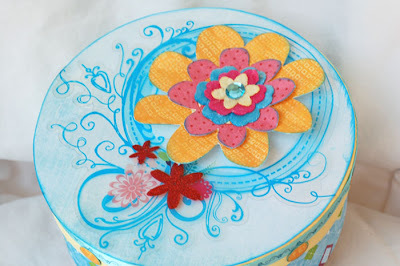 To make the flower, I cut a circle from the patterned paper. 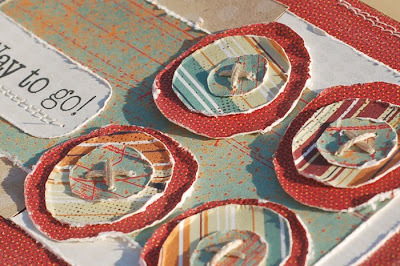 Then I cut small strips of ribbon, made loops and adhered them to the circle. 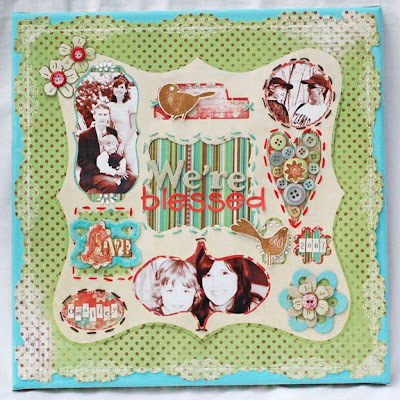 I added layered die cuts to the center and adhered a chipboard circle on top. 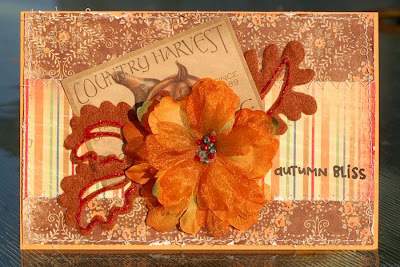 I used the ric rac as the stem and added more trim to the die cut leaves. This is my second project. 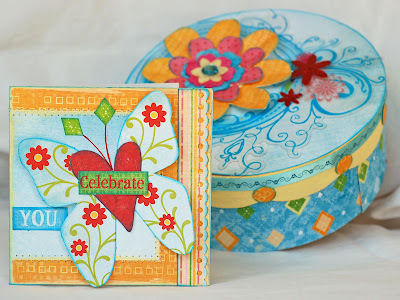 I used one of Cindy's scalloped boxes and a bunch of Fancy Pants 'Celebration' papers. The transparency on top of the box is also Fancy Pants. 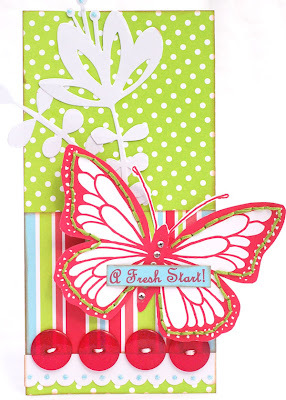 I used a FP die cut butterfly for the card. 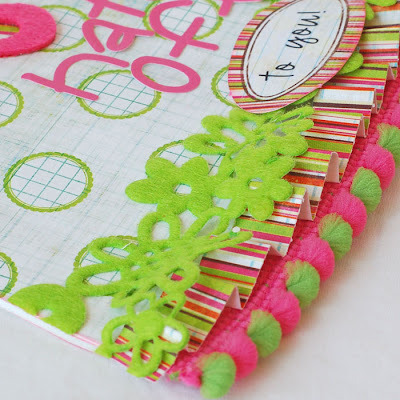 I just love all of the bright colors in this line! They say when one door closes, another opens. I have always believed this to be true. 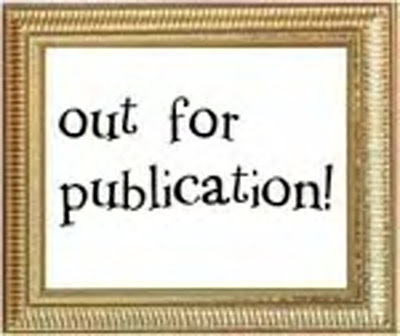 Sadly, the Paper Salon design team is no more. The company that bought Paper Salon's parent company decided that they didn't have the need for our team at this point in time. So, rather than pack up our bags and go our separate ways, we've begun a new venture. 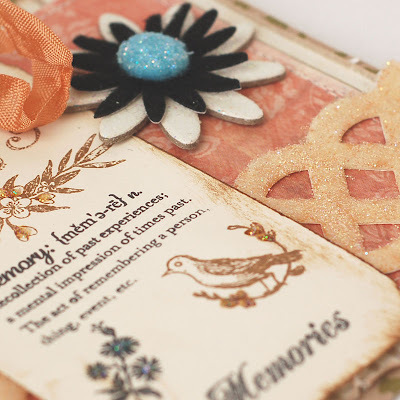 Our bond goes well beyond the ties of Paper Salon, so we decided we will stay together and craft together as a group. Hopefully, we can share our ideas and offer some inspiration. 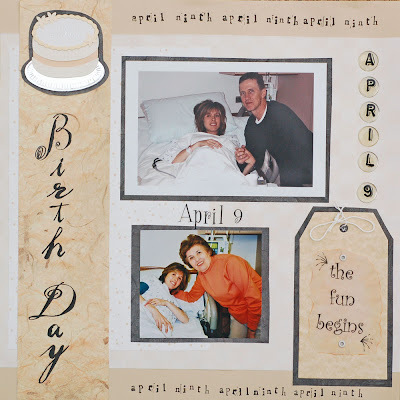 We decided to do this via a blog called The Pursuit of Craftyness. Check it out! 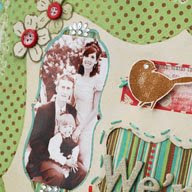 We'll be doing sketches, hosting challenges, offering tips and sharing what we love to do best - Paper Crafting. I'm kind of biased, but I can honestly say those girls are all super talented and I'm excited to have a place where I can go and see their work. Kind of like a one stop shopping deal. Here is my first card for the POC blog. 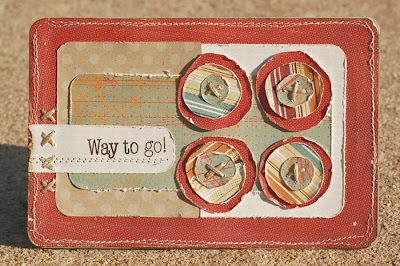 I used American Crafts paper, Doodlebug buttons and KI Lace Cardstock. Five years ago today, I became a mother. It was the happiest day of my entire life! I have been teary all day. I can't believe my baby is five. Everyone says the time flies by. Boy, does it. Here are a couple of old layouts. They are the first two that I did when I started scrapping his albums four years ago. They certainly aren't fancy or trendy, but I have looked at them over and over again. They are what scrapping is all about. This one was a lift. I wish I could remember who did the original, but my 40+ year old brain doesn't work so well anymore. 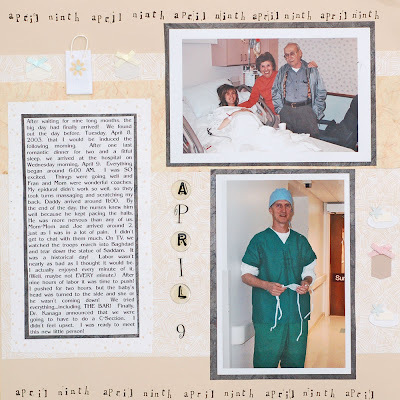 :) The layout highlights our birth announcement. I love the photo of him. He was 2 weeks old. So, that's my walk down memory lane. Well, enough sappiness for one day. ;) I'm off to bake cupcakes. We'll be taking them into school and I'm going to spend some time with him there. Well, today is my birthday. ;) And being a mom, I know how special this day is to mothers who relive every second of the day they gave birth to their child. (well, at least I do!) So, in honor of my birthday, I dedicate this post to the most wonderful mother in the world, Blanca Gervais. I am so blessed to have been born on this day, 29+ years ago to the most caring, generous, smart and loving mom ever. Thank you, mom, for the gift of life and for all you've done over the years to make every day of it so wonderful. Love you!!! This card is for you. 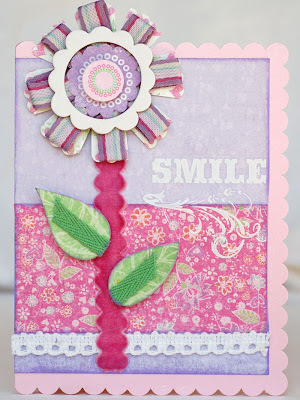 It's a new Pink Paislee card that I made. Love the Office Lingo line. 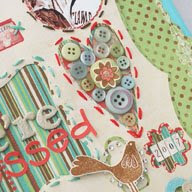 I also added some Collage Press paper, pom poms, glitter and stitching. Don't you just love rubons? There are so many out there today and they are just so much fun. One of my favorite types are from October Afternoon. 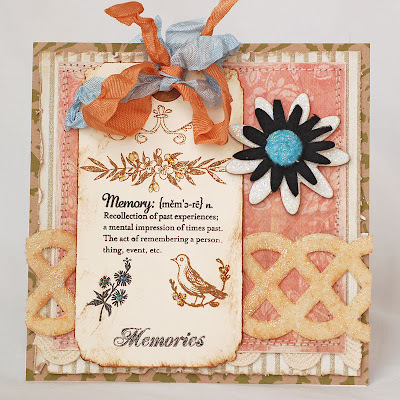 On this card I used the rubon as the main element of my card. Then I added some small sequins and some Stickles to it for dimension. 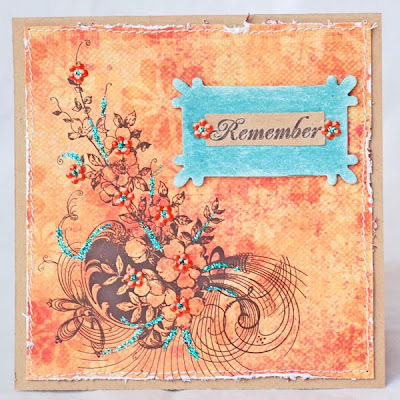 Speaking of Stickles, I used some on this card, too. I added them to the felt for some sparkle and shine.